Both the Banjar and Halon valleys were reserved as exclusive hunting grounds for the British. These areas supported large numbers of the swamp deer or hardground barasingha. When over hunting led to their numbers being depleted, the forests were closed to shikar in 1931. 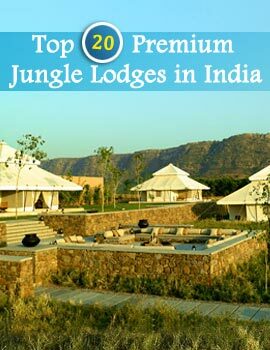 In 1933 Kanha valley was gazetted as a sanctuary with an area of about 250 sq. kms (96 sq. miles). In 1935 the adjoining Halon valley around Supkhar with an area of 300 sq. kms (116 sq. miles) was given the status of a sanctuary and was attached to Kanha. With the protection given to them, the deer population began to increase and they caused extensive damage to tree saplings and villagers' crops. This resulted in the Supkhar sanctuary being denotified. Subsequently, the Banjar valley alone retained the Sanctuary status. 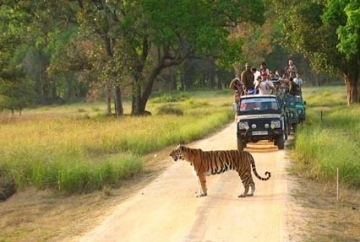 In 1955 the Banjar valley was upgraded to a National Park, and the park was called Kanha National Park. This was done through special legislation and was the culmination of a furore that followed the ruthless hunting of 30 tigers, by a privileged shikari (hunter) in the area in and around the Banjar valley and the Halon valley. Another reason for making it a National Park was to save the hardground barasingha whose numbers had fallen to 550. The initial area of the National Park was 253 sq. km. In 1962 it was expanded to 318 sq. kms (123 sq. miles), and in 1970 Mukki Valley was added, bringing its area to 446 sq. kms (172 sq. miles). When Project Tiger was initially launched in 1973, nine Tiger Reserves were selected for this and one of them was Kanha National Park. Under Project Tiger, the Halon valley was integrated into the park first as a sanctuary in 1974, and as National Park status in 1976. 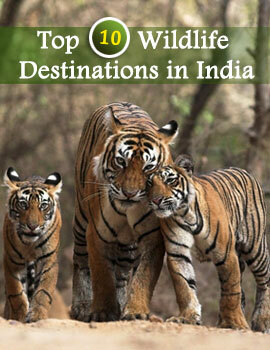 With this integration, the areas of Kanha National Park went up to its present area of 940 sq. kms (363 sq. miles). 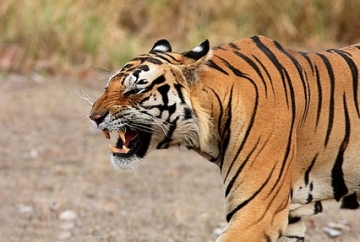 Kanha Tiger Reserve is constituted on a "core-buffer" strategy. The entire National Park area of 940 sq. kms is the core zone, free from biotic disturbances of any sort. There is a buffer zone of 1,005 sq. km falling in four forest divisions - Mandla, Balaghat, Kawardha and Dindori, which surrounds the core zone. This buffer zone is treated as a "multiple use area", with 40 percent being forest area and the rest being revenue land. This total conservation unit encompassing 1945 sq. kms (750 sq. 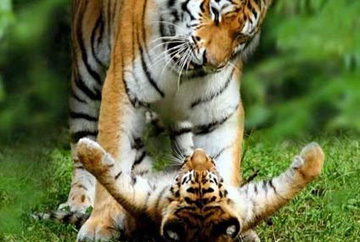 miles) is called Kanha Tiger Reserve.